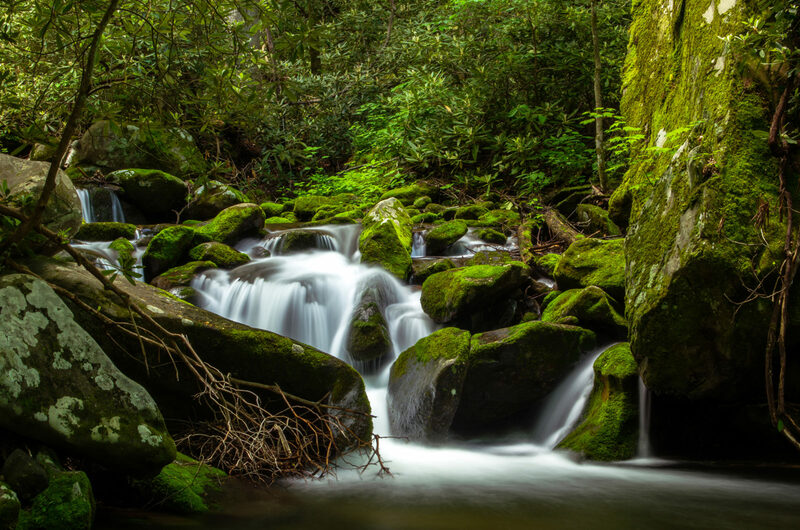 Roaring Fork Motor Trail in the Great Smoky Mountains National Park. My Shangri-La isn't a made up place, but rather a real one nestled between North Carolina & Tennessee. Luscious greenery surrounds you everywhere you go and waterfalls seem to be around every corner you turn. Coming up on this stream flowing over the rocks it almost felt mystical and dream like. Scenes like this are very abundant in the Smoky's and they are accompanied by serene silence.